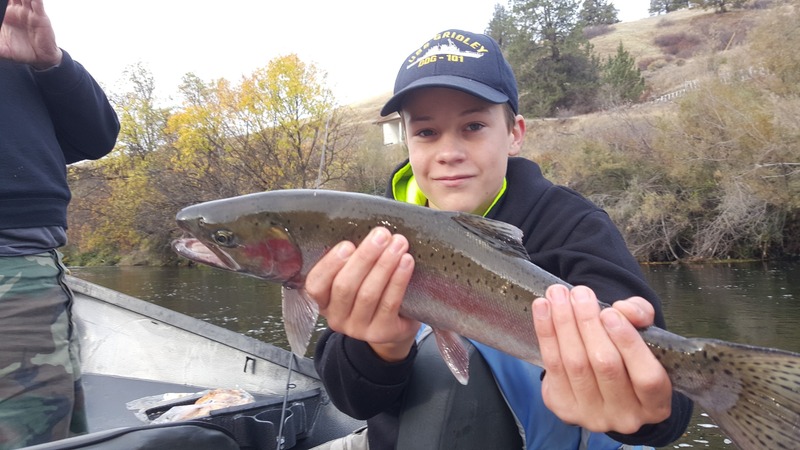 Late October has been wet and cool but that has not stopped the Upper Klamath river from producing some great catch an release Steelhead. 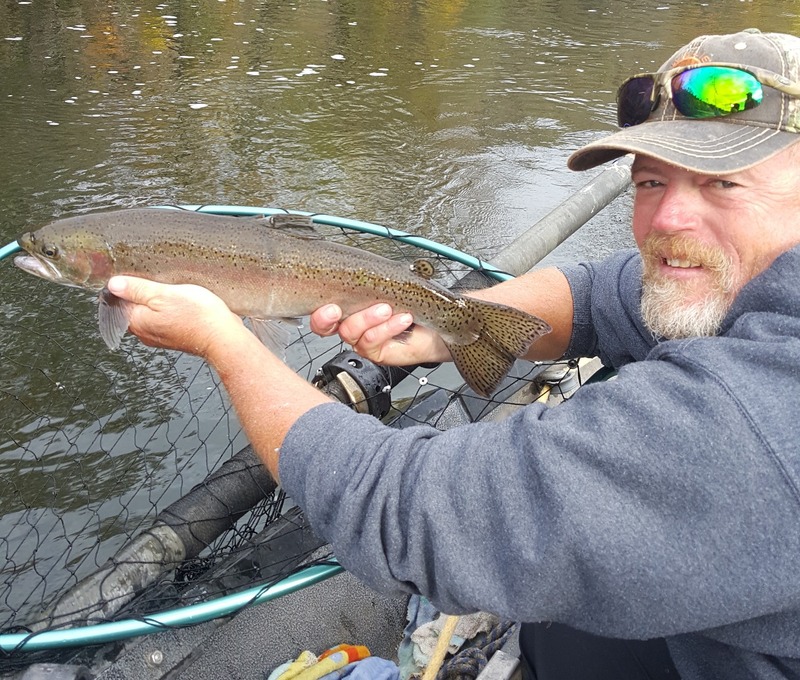 Al and Jamie Lesko came down from Medford Oregion yesterday and caught 6 adult Steelhead between the two biggest 19 and 22 inches. Al took big fish landing a hard fighting hen that was in the 5 to 6 pound class. 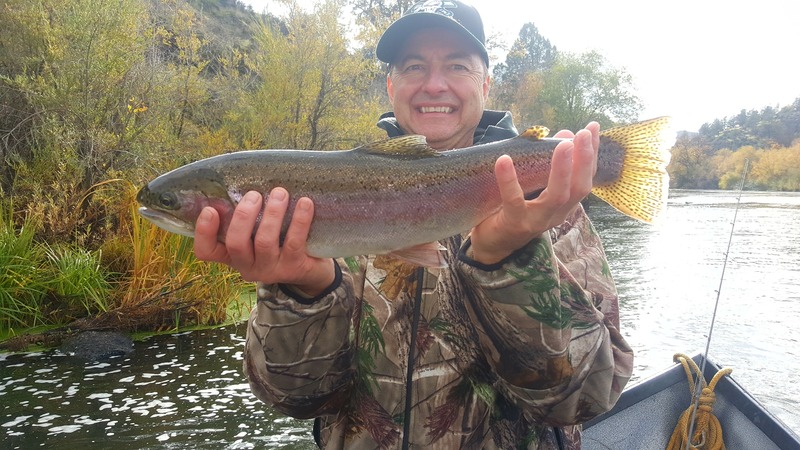 Back trolling bait was the hot producer but we also caught lots of half pounders casting plugs and drifting egg patterns under the indicator. Don't etc the crazy weather scare ya off the fish are already wet they don't care.